There are those who suppose that the brain will for ever remain a mystery. There are those who suppose that one day the way the brain works will be revealed in all its detail. Of what use would such knowledge be? Would the problems of mankind be suddenly solved by a surge of understanding? Would one be able to make practical use of the knowledge? This book is to do with the way the brain becomes mind. It may be that the brain is not too difficult to understand, but too easy. Matters are often made more and more complex by the ability of man to play elaborate games that feed on themselves to create bewildering structures of immense intricacy, which obscure rather than reveal. The only thing these structures do reveal is that man has the ability and the compulsion to play such conceptual games. Indeed, it is the nature of the brain with which he is examining the brain that makes him do so. Ideas must advance; if they miss the right direction they move farther and farther in the wrong direction. In matters of introspection, movement is unlimited. The track can never run out, since it is created by the moving imagination, just as there are military vehicles which lay down their own track ahead of them as they cross trackless swamps. Of its own accord the brain does not seek to understand and explain, but to create explanations—and that is a very different thing. The explanations may be highly acceptable without having much relevance to what is being explained. Can one escape from the circular self-satisfaction of elaborate philosophical description? 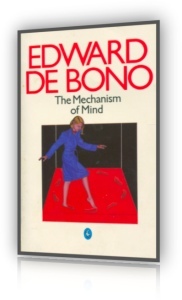 In this book the brain is described as the mechanical behaviour of mechanical units. It is the organization of these units that provides the mechanism of mind. Why does one bother to think about things, to talk about things, to write about things? Why does one imagine that other people ought to be interested in what is being said or what has been written? If one is describing something, then one hopes that the beauty of the description may be appreciated. Even in a description one may seek to reveal something that one supposes not to be apparent to everyone else. As one seeks to reveal more, so one moves from description towards explanation. In explanation one tries to reveal how something unfamiliar is only a special arrangement of things that are already familiar. We do know how these familiar things work, so we can tell how the unfamiliar whole must work. We want to know how it works in order to make better use of it, perhaps change it, perhaps improve it, perhaps prevent it going wrong, perhaps repair it. Above all, we usually want to be able to tell how it is going to behave in general and also under special circumstances. If the purpose of description is beauty, the purpose of explanation is usefulness. To say that a lawn undulates is description; to discover the buried tree roots is an explanation which may bring about their removal. It is for the reader and not the writer to assess the usefulness of what is set down in this book. Nevertheless, it is possible to point to one definite and very practical example of the usefulness of the explanation offered. Words usually describe things or actions, which are just things in motion. There are, however, a few words which do not describe things, but which provide tools for dealing with other words. Multiplication, division, addition and subtraction are special ways of dealing with quantities. Each of these processes is represented by a symbol which becomes a tool for carrying out the process. Words like 'not' and 'if' are tools for dealing with other words and carrying out certain processes. In this book a new tool is suggested. This is a new word which does not yet exist in any language. It is used to carry out a process which cannot otherwise be performed. Once this word has been invented and its function defined, then people can become as accustomed to using it as they are accustomed to using the word 'not'. When this happens, it will be possible to think in ways that are not yet open to us. These different ways of thinking will be especially useful for generating new ideas and solving problems. But by far the most important use of the new word would be to prevent the emergence of those widespread and fierce problems which are actually created by the limitations of language and mind. Even the mere existence of the new word, whether it is used or not, would help in this regard. New words are continually being invented to describe new things. But to invent a new functional word, a new tool for thought and language, is a different matter. It has never been consciously done before in the whole history of language. What justification can there be for so presumptuous a step? What function would the word perform? Why is the word necessary? The whole of our thinking, the whole of our language, the whole of our education, perhaps the whole of our Western culture, is concerned with the formation and communication of ideas. This is the way the brain works. This is the way the brain needs to work to make life possible. This is the way we encourage the brain to work. But what about the process of changing concepts as opposed to establishing them? This is an unnatural process for which we have no tools and no training. Until today ideas have always lived longer than people, but now people live longer than ideas. As a result there is a great need for mental tools that make possible the re-forming of ideas. Yet the necessity for this new word and its function does not arise from the philosophical need for it, but from the mechanics of the way the brain handles information. As a biological information-processing system the mechanical behaviour of the brain has certain limitations, and it is these limitations which make the new word so necessary and also define its function. The new word is a device for overcoming these limitations. Like the zero in mathematics, the device is a symbol and its use to carry out processes that would be impossible without it. In the first half of the book the organization of the brain is put together. Starting with simple units, the organization is built up step by step until the mechanism of mind has been assembled. No special knowledge or mathematical understanding is assumed. At the end of this first half the mechanism may be compared to a large piece of paper with writing on it. The paper is in the dark and across its surface moves a small pool of light as from a flashlight. The words illuminated by the light are read out. The words represent information stored in the brain. The first half of the book deals with how the writing comes to write itself on the paper; how it is not put there by some outside intelligence but how it comes to arrange itself to give sense and significance. How the pool of light comes to move across the paper of its own accord without there being any outside source of light or any hand to guide it. Why the light moves in one direction and not in another. How the words are not read but read themselves. Such things are the basic mechanics of consciousness, of free will, of memory and of thinking. In this first half is shown how the brain is a good computer simply because it is a bad memory. It is this bad memory that provides the computing function. The second half of the book shows how the mechanism put together in the first half actually works in practice. The second half is concerned with why the mechanism can only work in certain ways, with the advantages and disadvantages of these ways. The inescapable limitations of thinking are examined. The four basic types of thinking are described: natural, logical, mathematical and lateral. In part these are natural and in part they are the result of artificial devices that have been developed to improve the natural behaviour of the mechanism of mind. The necessity for a new artificial device and the function of this new device are outlined. The way the brain works does depend on the way it is put together, but there may be some readers who would prefer to accept the brain as a functioning mechanism rather than carefully follow how the organization is put together. Such readers should turn at once to page 149 — Characteristic Behavior of the System. At this point the brain is like the piece of paper bearing significant patterns which are revealed in turn by the moving pool of light. These readers may return later to the first part in order to find out why the brain works in this way. Other readers may prefer to start at the beginning and gradually work through the organization of the mechanism before proceeding to read about how it works. Choose whichever approach you feel you might suit you, but bear in mind that to most people the second part will be easier than the first. The first part deals with the beauty of function, of process and organization. The second part deals directly with how the brain thinks, how people think. The second part arises from the first as a flower arises from its stem. The purpose of the stem is to bear the flower. Without a stem only an artificial flower can survive just as the unfolding of a passage of music is a matter of repetition and progression, so is the writing of this book.